1. 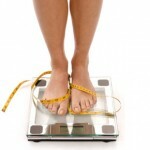 Weigh in– Years ago, I told my clients to never — ever get on the scale. Based on my own experience of weighing myself too often and paying the price, I felt it would wreck their motivation. I now believe that getting on the scale 3-4 times a month can actually be helpful. 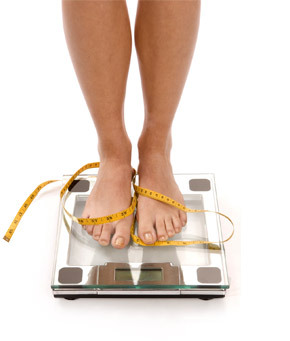 In fact, research indicates that those who strategically use the scale as a weapon in their weight loss arsenal may lose more weight than those who never weigh in. 2. Track your food – I always hear groans from my clients when I ask them to write down what they eat. Then, a week later and two pounds lighter, they tell me what a revelation it was to see what they were actually eating. Writing it down helps prevent sneaky calories from slipping in and torpedoing their efforts. Research shows that those who track what they eat lose twice as much weight as those who don’t. I’d say that’s worth the extra five minutes it takes to jot down your diet throughout the day. 3. Buddy-up– Having a diet and exercise support system is key. When you set up a date to meet a friend for a walk, there’s about a 90% chance you’ll actually do it. If you think about “maybe” going for a walk “sometime” today, I’d say you have a 90% chance of not completing it.